Click here to learn vocabulary and useful questions and expressions. This is a crossword. Click here to do a reading comprehension exercise about a job interview. 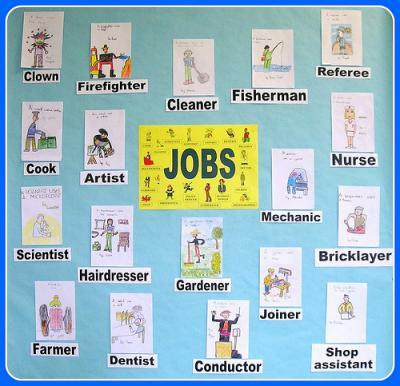 This is a vocabulary test.This is another vocabulary activity (you have to solve the randomly scrambled letters of the words/phrases (all from jobs )).Finally, click here and here to watch videos.